I swear I heard the cardinal sing his spring song the other morning. Even though it was 15 degrees when I took the kids to school and we are expected to get 3 to 5 inches of snow in the morning, something in the air seemed as though we were on the cusp of soggy lawns and budding trees. Premature thinking? Perhaps. We’ve gotten blizzards at the end of April and during our spring breaks, but I swear, something happens on the verge of the seasons changing in Wisconsin. The sunlight is different. The smell is different. The red winged blackbirds, we notice, come back every second week of March regardless. We must not be imagining! In our new location, I have enjoyed winter this year more than I have in a REALLY long time. Surrounded by tree covered bluffs, covered in snow, who wouldn’t want to hunker down and enjoy it’s beauty? At the same time, I am itching to shed that down coat and take a run in shorts and t-shirt. The day will come. 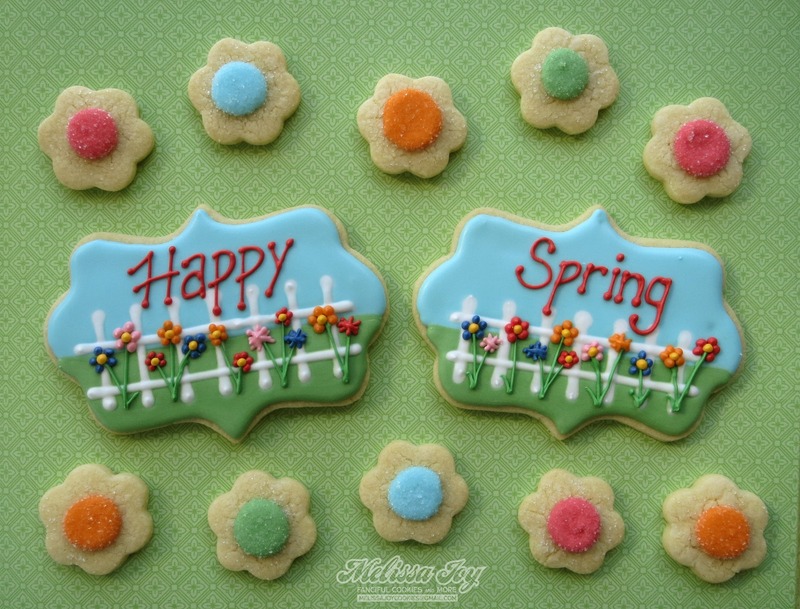 And so the inspiration hits for all cookies SPRING! Picket fences and flowers in bloom! Hooray! Some fun retro flowers! The colors were influenced by the kids swimsuits in the Garnet Hill catalog. Swimsuits! Yay! Soon butterflies! These are my favorite to make. Yippee! It was so uplifting to be surrounded by what was to come, when outside in reality the wind was wicked and howling. I sketched the ideas out first, which I usually do when it’s something in my head or inspired by a pattern. 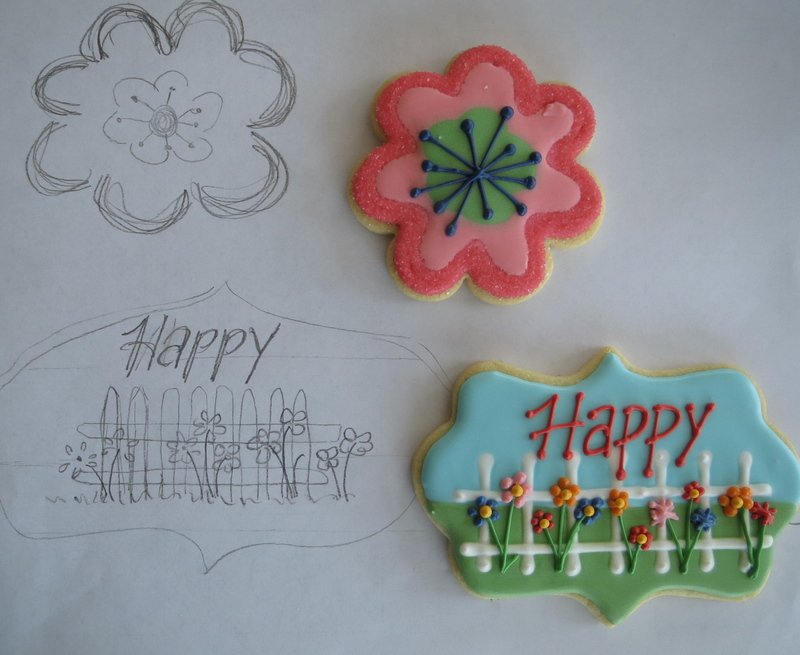 One rockin’ cookie maker and blogger, LilaLoa, had a fun challenge to her adoring fans to show their sketched ideas and the finished product. Here was mine. While I will continue to dream about a new garden and tomatoes from the farmers’ market, I know I’ve still got snowshoeing to try and sledding hills to seek out. And we better get those shovels ready for tomorrow…spring-full thinking, y’all! 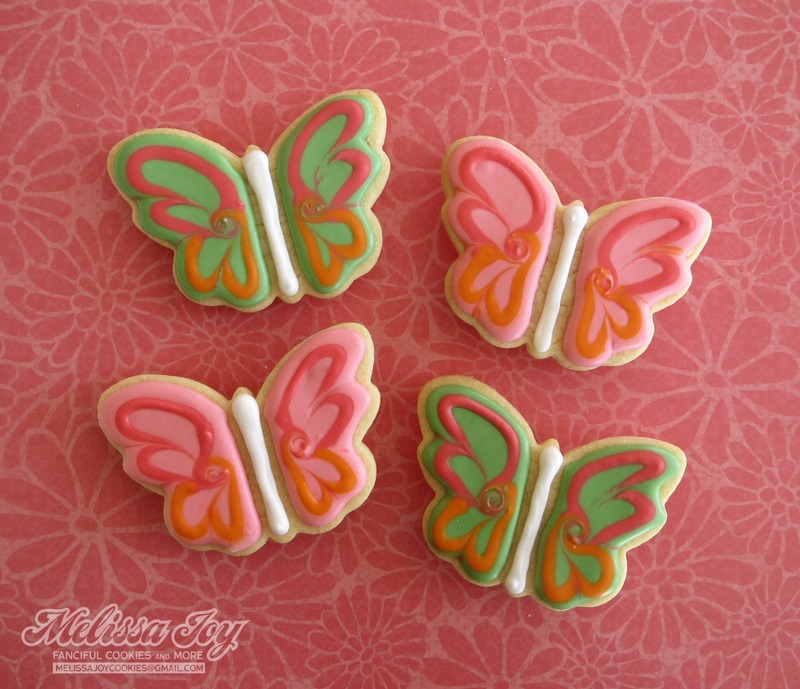 This entry was posted in Spring Cookies and tagged butterfly cookies, flower cookies, flowers in bloom, picket fences, spring cookies. Bookmark the permalink. Love the sketch and actual result. Happy Spring Fever MJ! 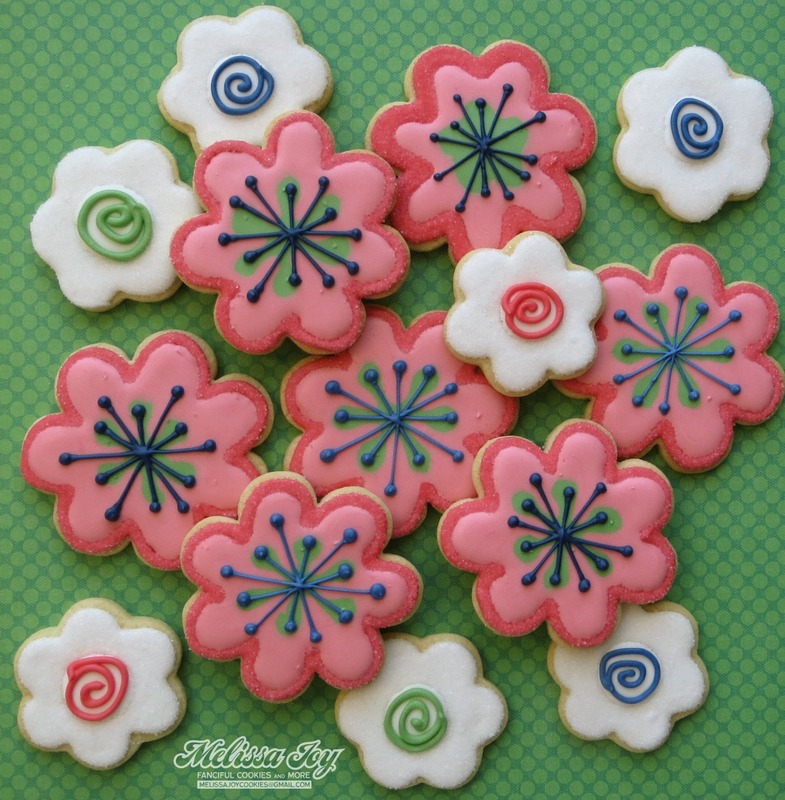 lovely spring cookies! It really is beginning to be spring here in Texas. We have daffodils & flowering quince blooming right now. I’m sure it’s headed your way. The picket fence with the flowers is just darling! Your sketches (and cookies) are so artistic!